Want to have an unforgettable Holiday feast? Let Jennie-O take care of that for you. 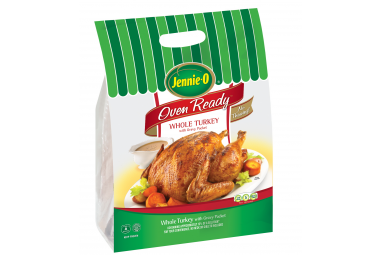 Instead of stressing over the time and effort it takes to get a turkey on the table, Jennie-O has it all covered for you. Check out this oven ready whole turkey. How awesome is that? Just open the bag and place turkey in your roasting pan and heat it up! Now you can spend more time with your family instead of worrying about preparing a turkey. 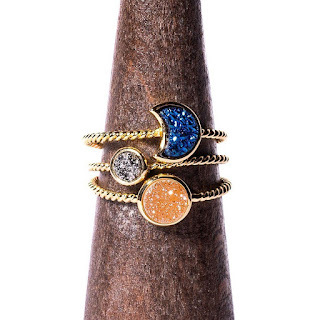 Jennie-O has so many products available, you can check them out here. I am a fan of the Jennie-O turkey sausage. You can also check out JennieO.com “Holidays and Events page. It has a wealth of information to ensure you have an unforgettable holiday feast. My mom's Thanksgiving is the best! I remember all the pies and cakes my mother would make. Tons of food and lots of family! Turkey, pies, mashed potatoes, stuffing and so much more! growing up in england, thanksgiving didnt exist! Best Thanksgiving was when the kids were little and all the family attended. Ham (we do not like turkey), homemade biscuits, gram's hot bacon dressing for the salads was the bomb. Oh gosh. Good stuffing (or dressin'). I like it kind of mushy - not stiff. And we have a pumpkin torte recipe that's like heaven on a plate. I remember just getting to spend time with my cousins which i don't really get to see anymore :( and the pies. Thanksgiving at my Great-Grandparents was always the best! My Grandma was an amazing cook and I have never ever had a pumpkin pie as great as hers was! A feast where God brings together family and friends for a wonderful meal rather that meal is large or small does not matter. We have always been fortunate enough to have enough that we could share with a needy family who lives nearby. We have a tradition of inviting over someone with no family as well as we take plates to other who have to work or have no loved ones close.. We also donate food towards a family in need, we do this at Thanksgiving and Christmas. My Dad's stuffing was the best! I remember watching him make it. I remember all the food and slushies! The best Thanksgivings I had are ones the whole family got together and the most memorable and my favorite food is always stuffing. Turkey, mashed potatoes, macaroni salad, cranberry salad, greenbean casserole and pumpkin rolls. Having my family all together for a traditional Thanksgiving dinner is my idea of an unforgettable holiday feast! I love the traditional turkey, dressing, mashed potatoes, peas, cranberry sauce, pumpkin & pecan pie! I like to do a traditional meal. My favorite or most memorable part is the pumpkin pie. I have to make myself a GF pie now, and my family wont touch it. More for me!! The first year we all moved in to create the family we wanted and went crazy, crazy, CRAZY that Christmas for the kids. I want to just have tons of laughs along with great food! I remember one year we rented a cabin in the mountains and the entire extended family spent the holidays there. Crowded, but fun! My idea of an unforgettable feast not only includes great food, like Jennie - O products, but being with "my side" of the family. I've been here in WI for Thanksgiving every year since we moved here and I'd really love to see the relatives I grew up with. That would truly be an unforgettable holiday. I love being together with those I love and all the great food! That makes it unforgettable! An unforgettable holiday feast includes a wide variety of delicious food and a wide variety of personalities to engender great interest, great conversation, and lots of laughter! Having my whole family with me and everyone making all their favorites for dinner. Going to my mother in laws home for some delicious food and family get together. We love all the traditional thanksgiving trimmings! The pies are definitely what make a feast for me! The pie! Yummmm! In all honesty, the perfect Thanksgiving feast would have a limited number of people. It means lots of good food plus family together. Turkey and Ham, Mashed Potatoes and Gravy, Homemade noodles, Green Bean Casserole (my fav), yams, plus side dishes everyone brings to share, and pies pies pies! All spent with family and a few close friends we're all thankful for! Family get together with loads of food and desert! I love having roasted turkey, gravy, mashed potatoes, broccoli cheese rice casserole, squash casserole, rolls and pecan pie! Having a great day just sitting around with my family! Tracie V.
The food is fun, and delicious, but it's always the people that make the holiday unforgettable for me! Roasted Turkey and egg salad. I really think it is about traditions and the family you are with that makes thanksgiving so much fun. I love that I can create memories with my little one and of course teach her about sweet potato casserole and hashbrown casserole. Apple pie. Seriously, I don't care what the meal is, but if there is apple pie for dessert it is a feast to me! Turkey, dressing, and cranberry sauce. Then great family conversation and a choice of desserts. My idea of a great holiday feast is making the Traditional Turkey and Dressing, but also include at least one favorite of each member of the family. Love a big turkey and dressing surrounded by family! I agree with Pam - food will make a holiday feast tasty or not, but only the people can make it truly unforgettable. I'd love to have my whole family together for the holidays! My idea of an unforgettable holiday feast is a huge turkey, ham, mashed potatoes and gravy, stuffing, sweet potatoes, green bean casserole, baked mac & cheese, cranberry sauce, apple pie, pecan pie, pumpkin pie and Christmas cookies. Having family in good health surrounding your table with lots of laughter. It means great food, company of family and great laughs! My idea of an unforgettable Holiday feast, is one where all my family members bring one of their favorites, so its not too overwhelming for me with all of the cooking, and everyone has a dish they love! Hopefully, that will happen this year at Thanksgiving, with lots of love, laughter, and happiness! I think the best holiday feast would include a turkey, stuffing, mashed potatoes, corn casserole, apple cider, tons of desserts, and lots of friends and family members! Good friends, family, wine, and after-dinner playground fun. non traditional amazing food ... that i dont have to clean up! Seeing extended family I have not seen in a year. Unforgettable is spending time with your family! I love Thanksgiving, my mom goes all out! My idea of an ideal feast is having my family all around the table (which only happens once a year) enjoying in good eats and great conversation. Every year, I try to change up the menu to try out some new foods on my family. Our unforgettable thanksgiving would have to be our family with the new grandbaby all together!! Unforgettable is good food, all my family/friends and football! I love Turkey, mashed potatoes, gravy, stuffing and Pecan pie. For me, an unforgettable feast is a get-together with my entire family with turkey, cornbread stuffing, green bean casserole, homemade bread, mashed potatoes & gravy, pumpkin pie & pecan pie.